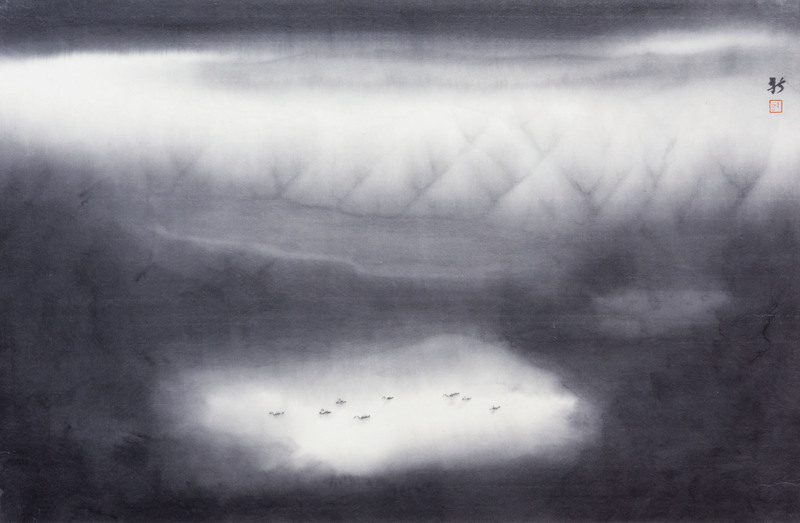 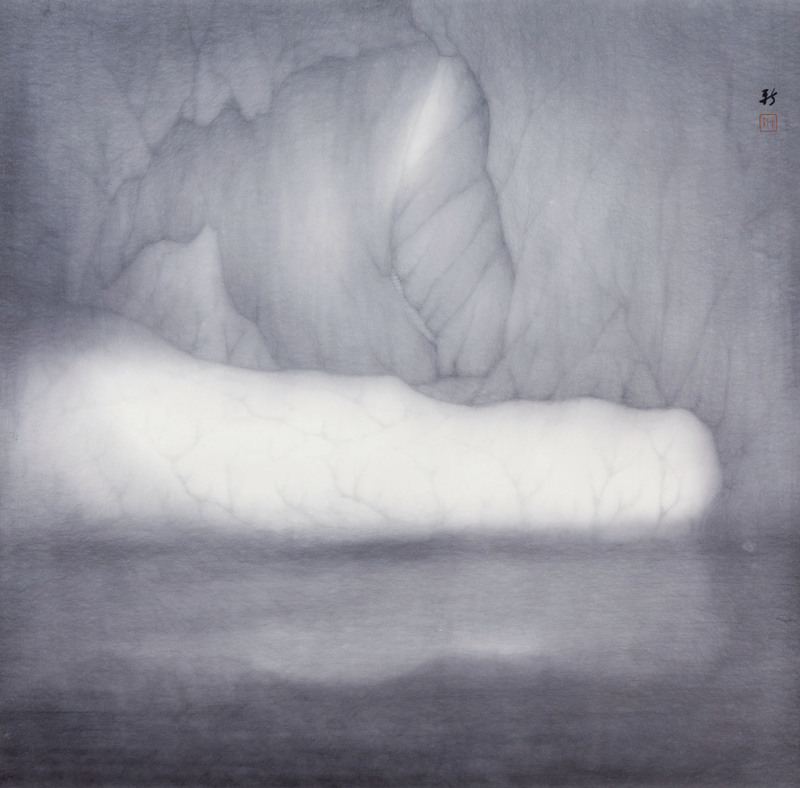 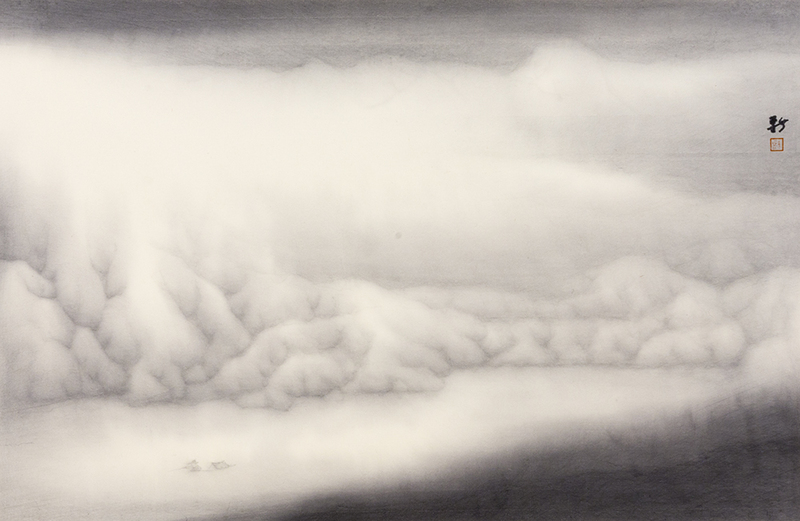 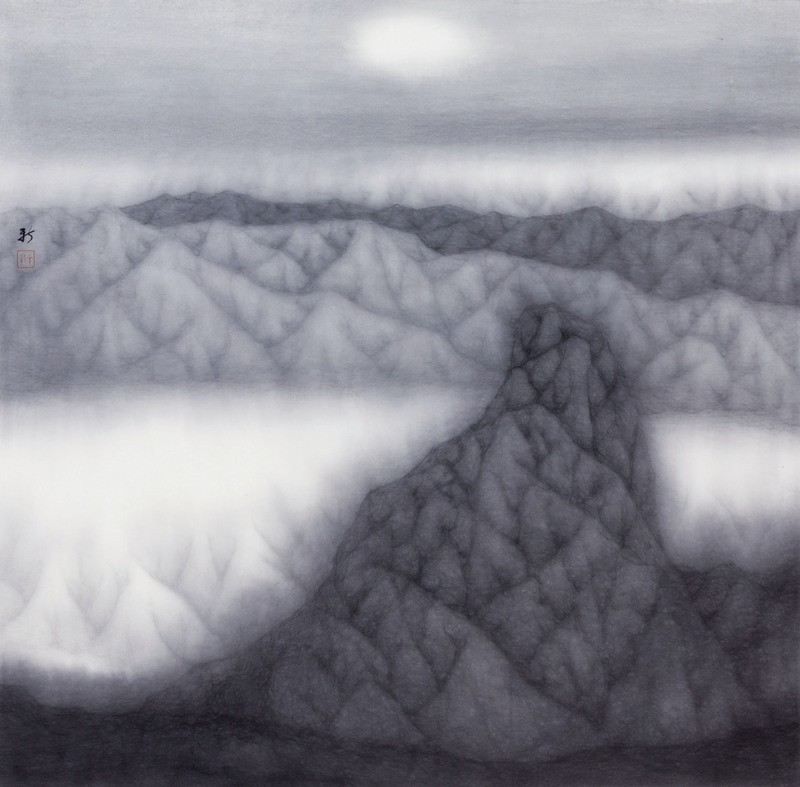 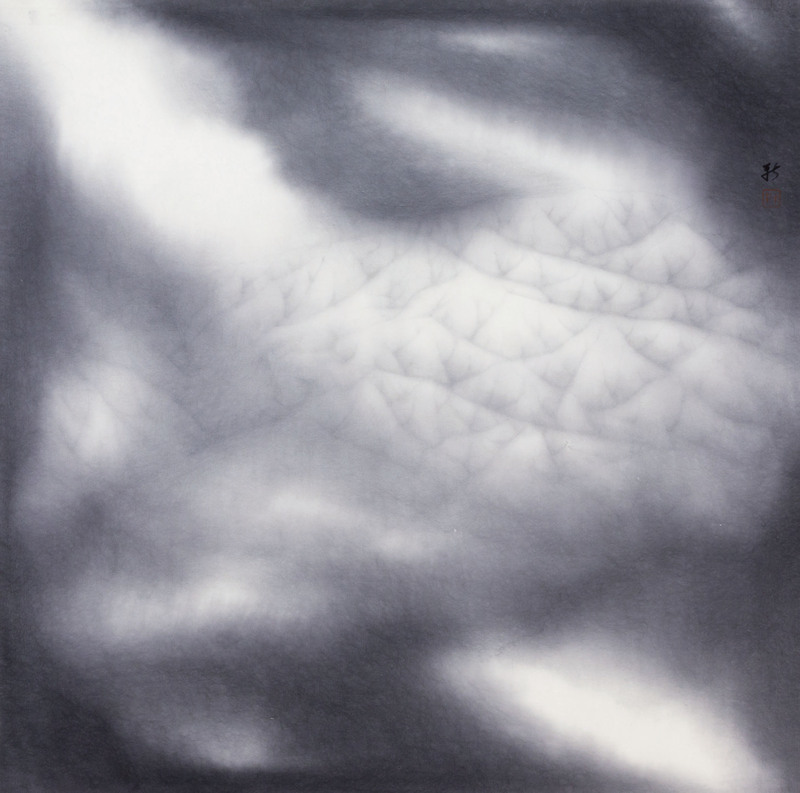 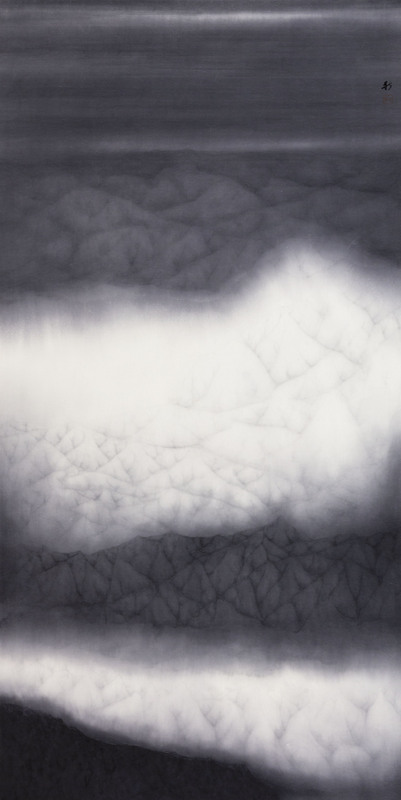 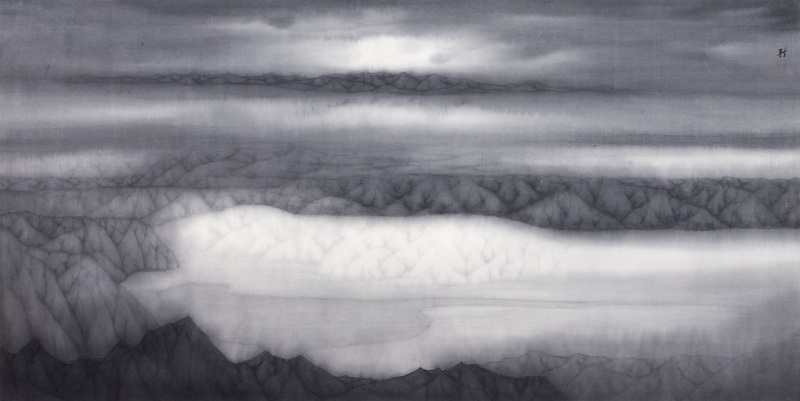 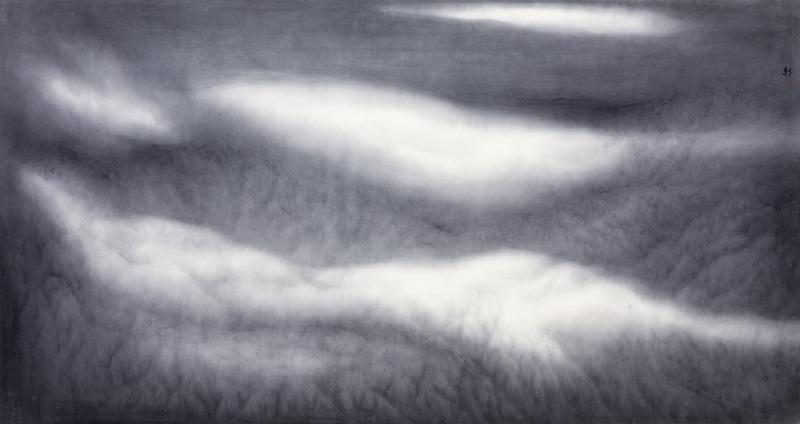 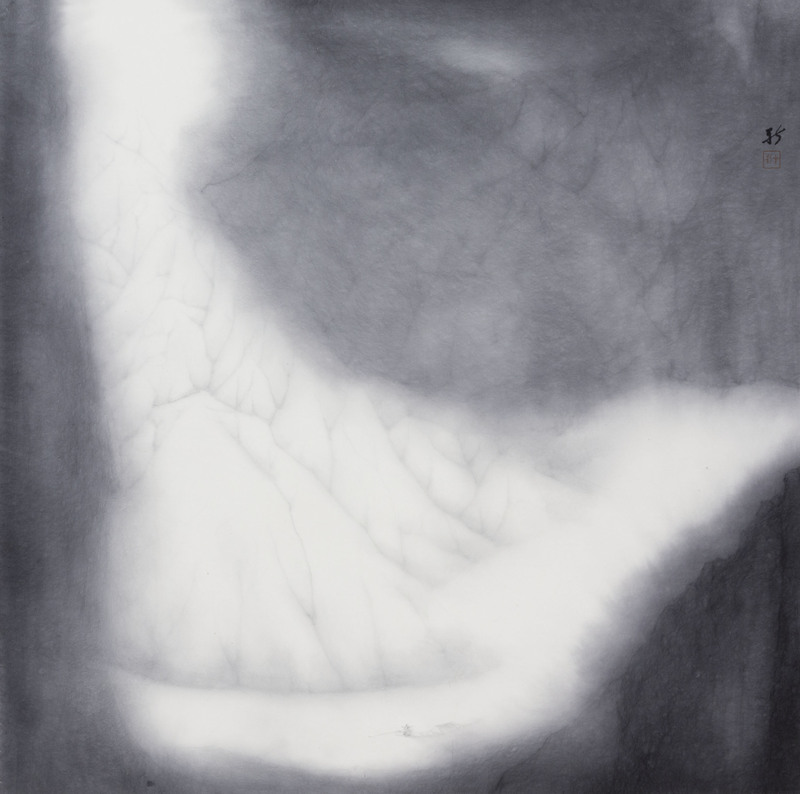 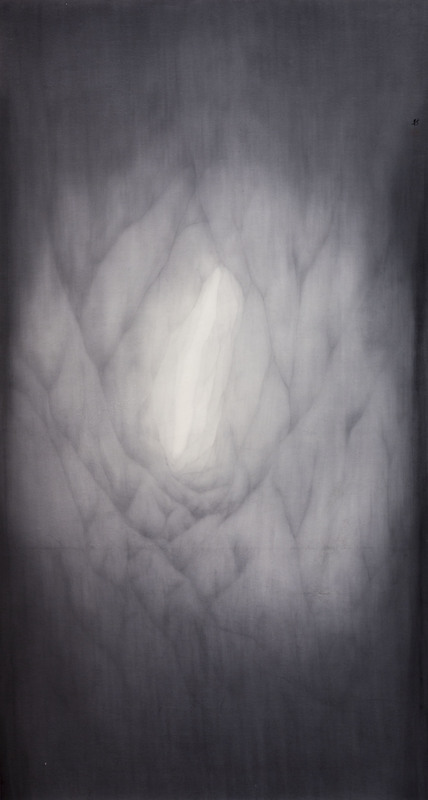 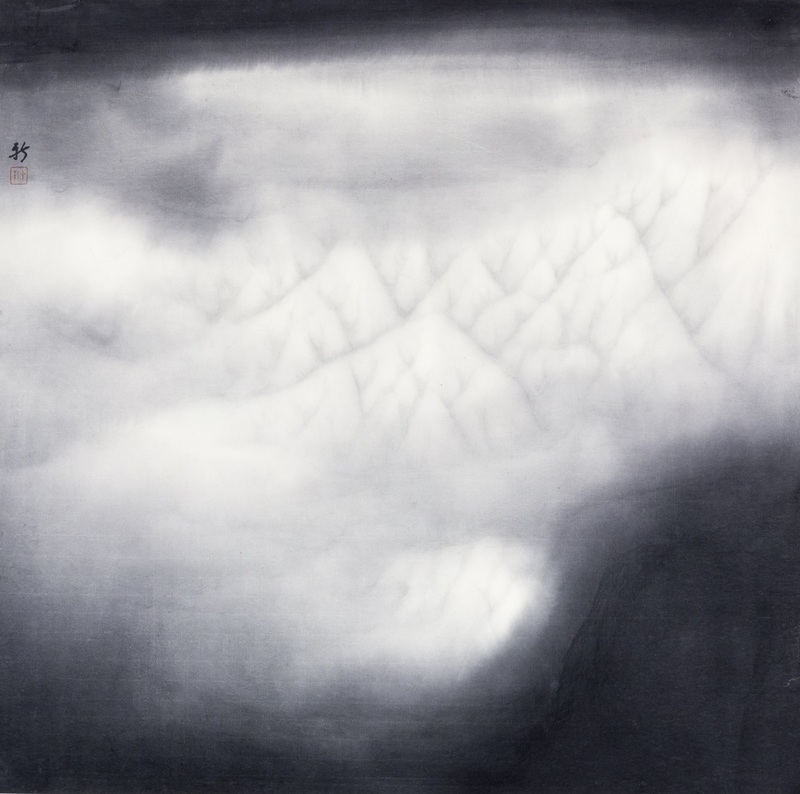 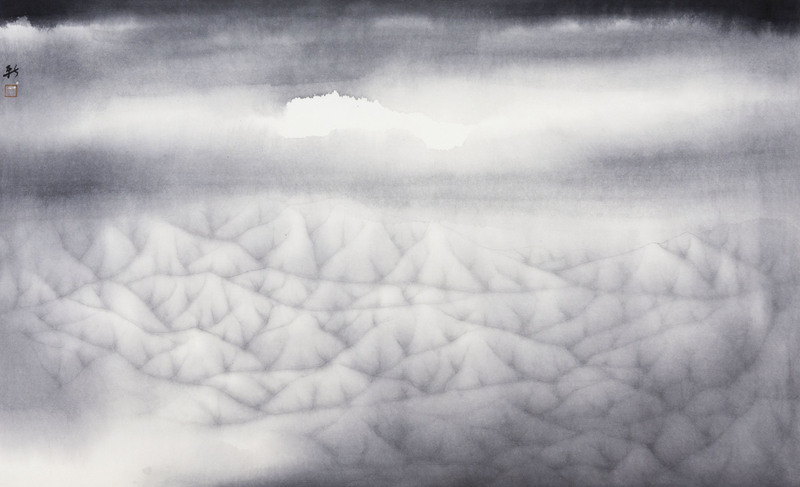 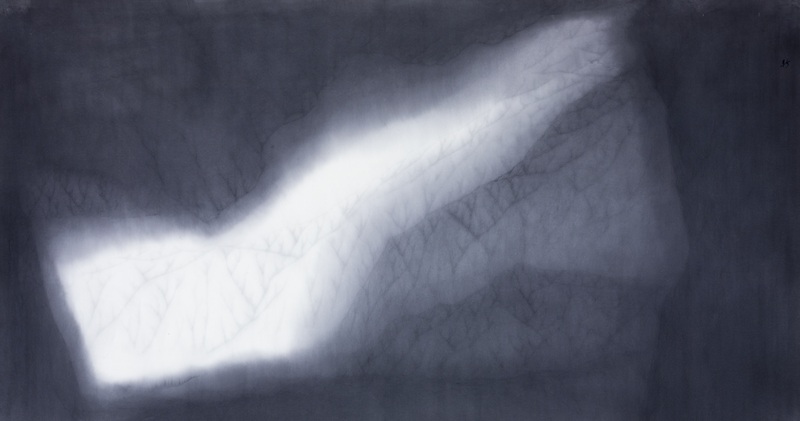 Xu Hua Xin’s art reflects his years of searching to express the purity and softness of white snow amidst the crystalline hardness of the mountains. 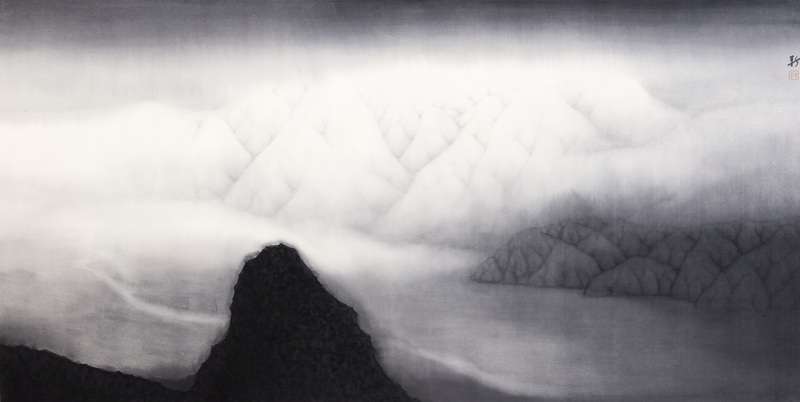 The magnificence and steely resolve of his mountains contrasts with the softness of snow and the quiet reserve of water. 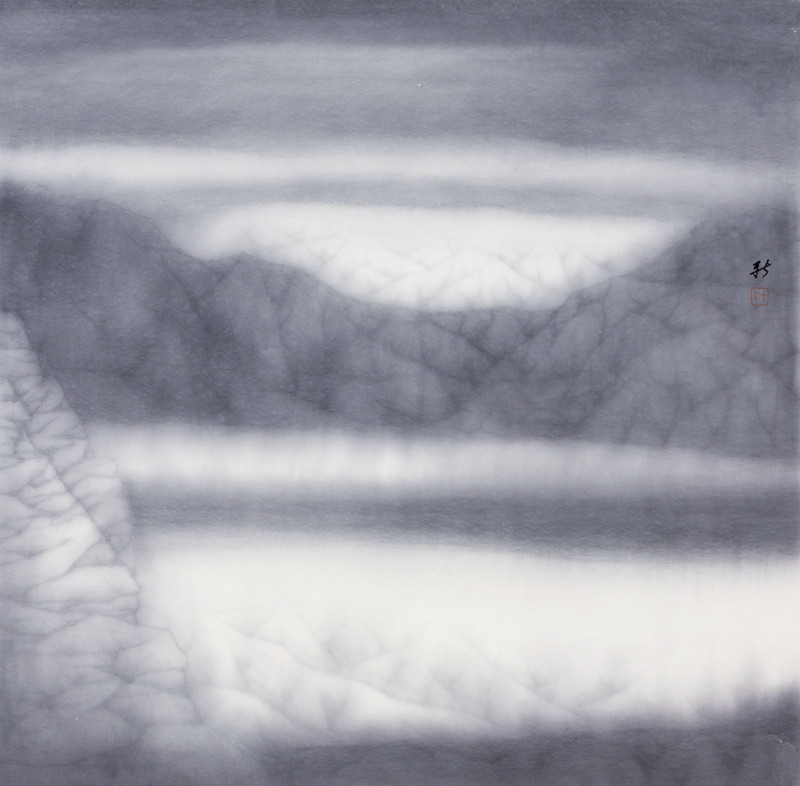 The gentle brook defiantly carves its way through the snow; the mountains act as a backdrop to the placid quietude of the winter lake. 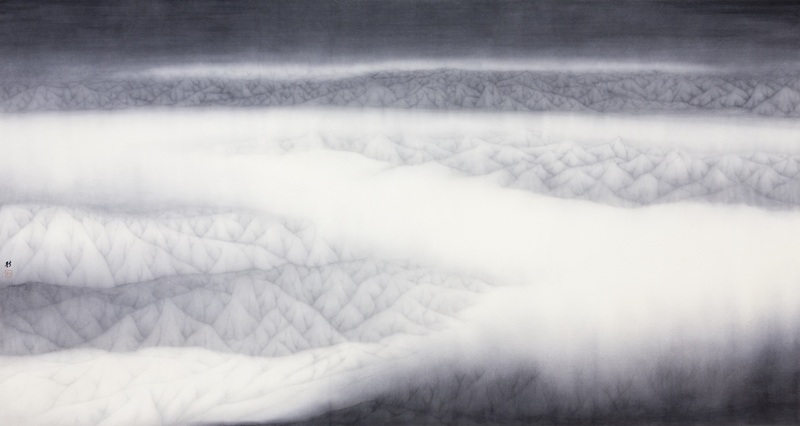 Mist-coloured mountains suggest a furtive, ephemeral shifting of the landscape. 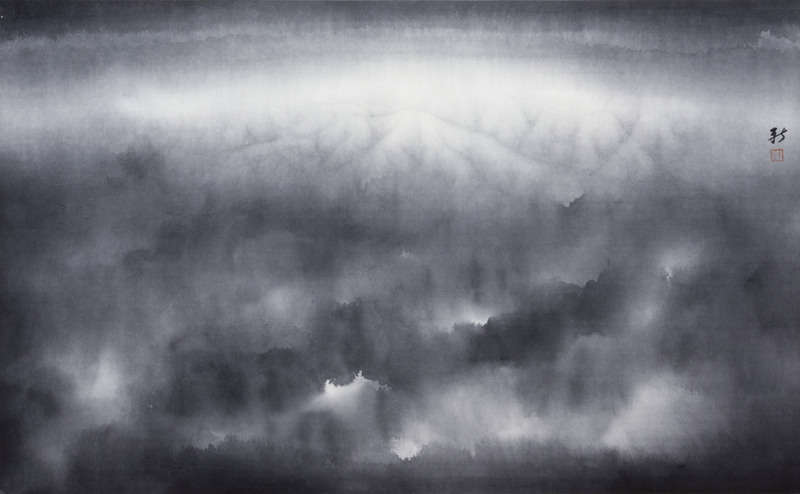 Created with a wet painting technique, the entire rice paper is soaked in water before Xu paints with a brush that is mostly water and just a little ink. 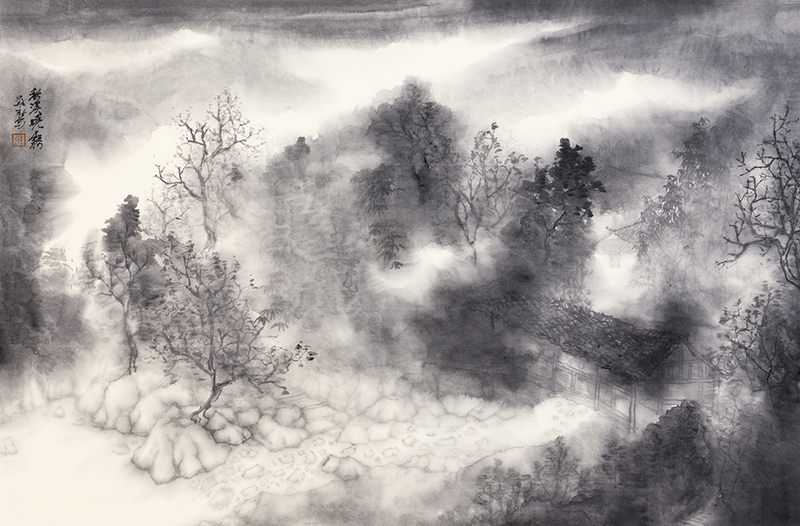 This technique allows the artist to create hazy and misty scenes that appear incredibly natural and clean. 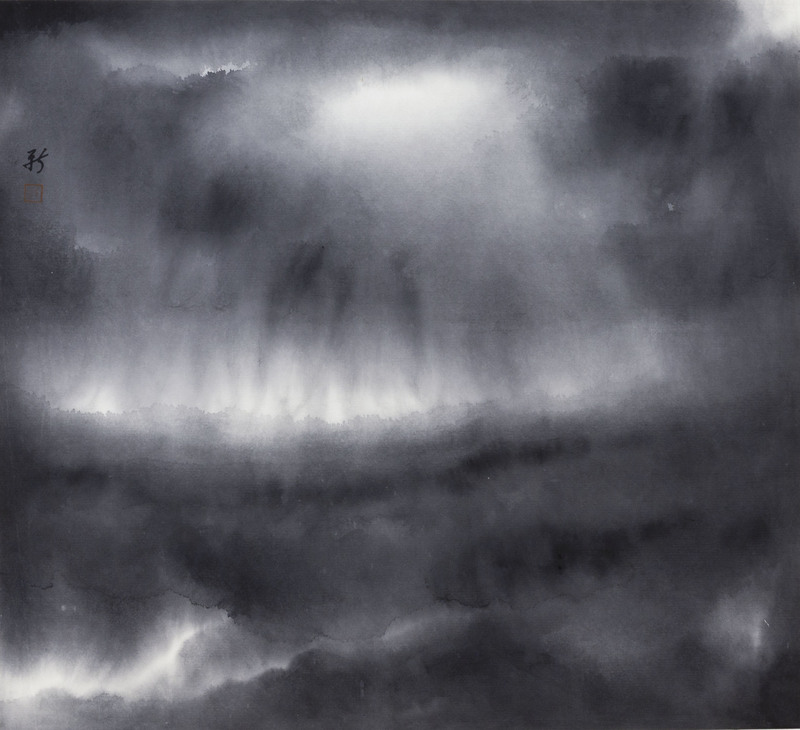 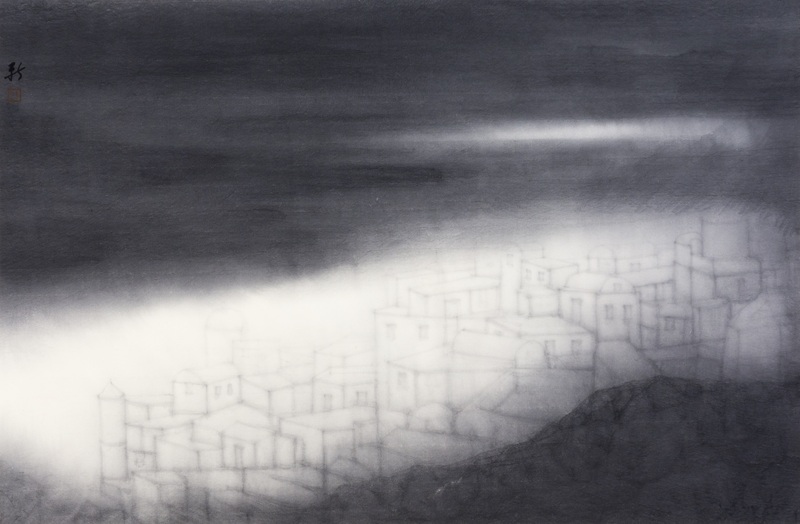 His works are an expression of the intensity of water rather than ink, and a balancing of the depth of vision created with ink and the tranquillity and whiteness created by water. 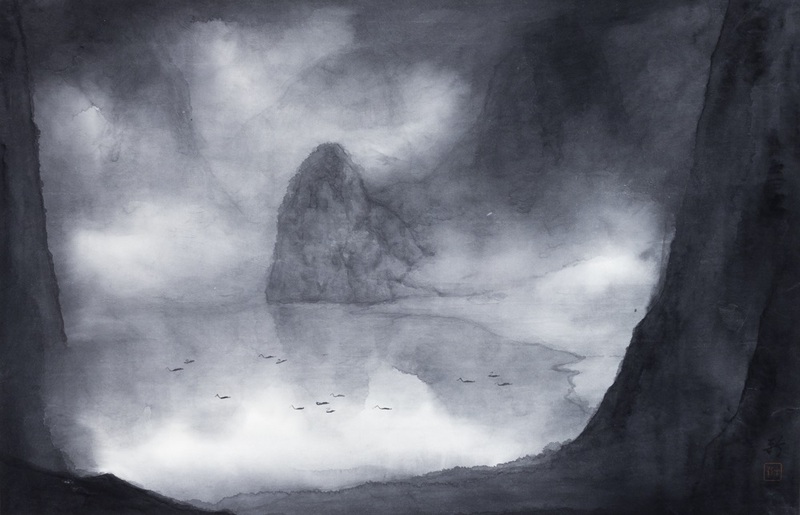 Anniversary of the Guangxi Zhuang Autonomous Region. 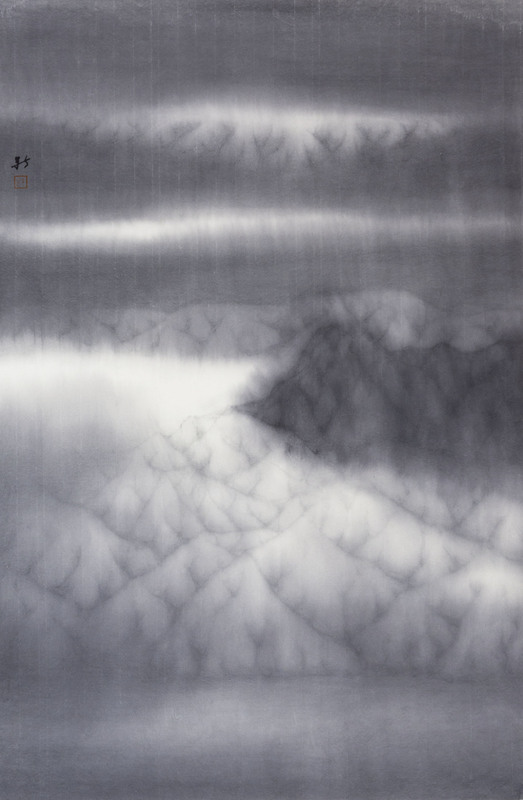 Water has been exalted for its many values throughout Chinese history. 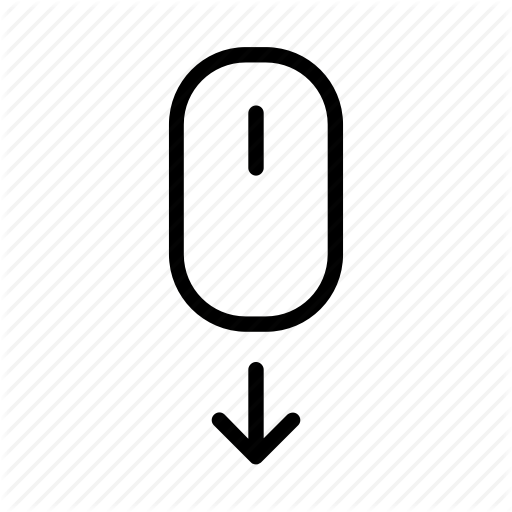 A slow, dripping trickle can erode even the biggest obstacle over time, and it has the patience to turn a mountain into a valley. 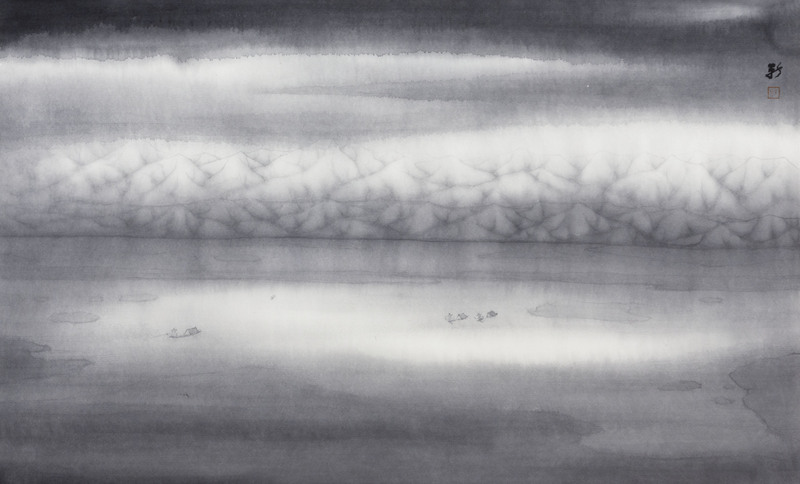 Water is paradoxical by nature – it is formless yet graceful, powerful yet compliant. 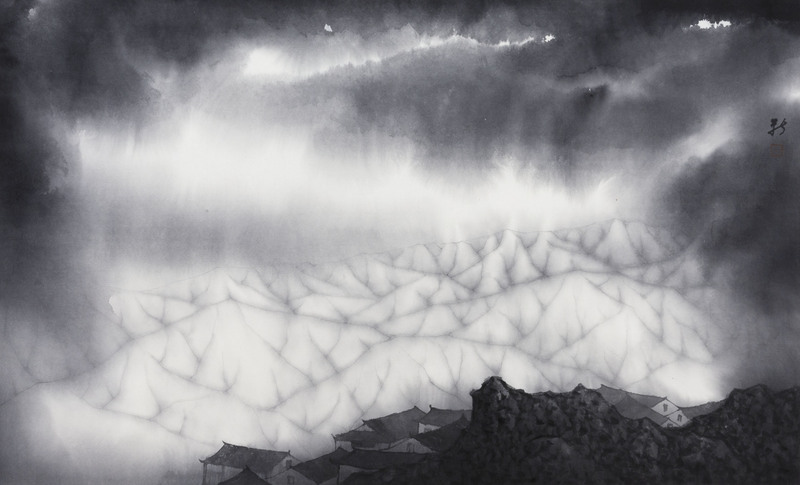 An artist must tread a fine line when it comes to manipulating water and ink. 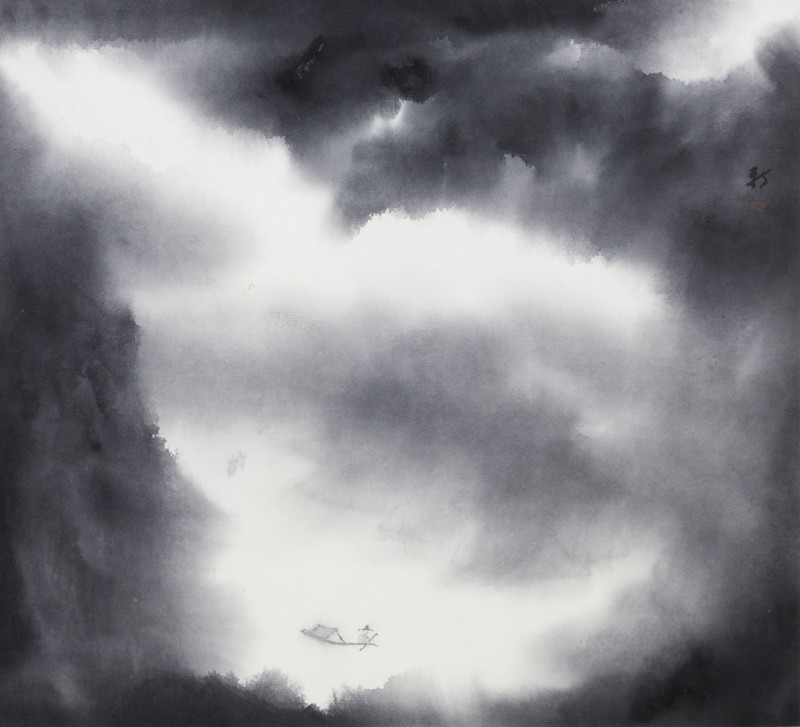 The beauty of Chinese ink is in the precarious brinksmanship between control and chaos. 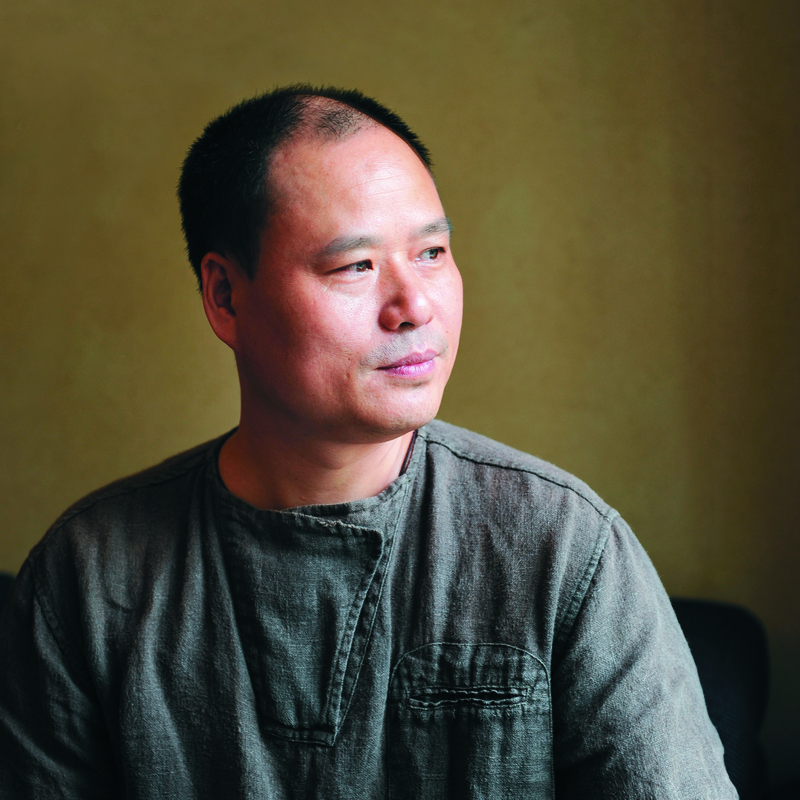 Skill has to embrace unpredictability and a trust in accidental miracles. 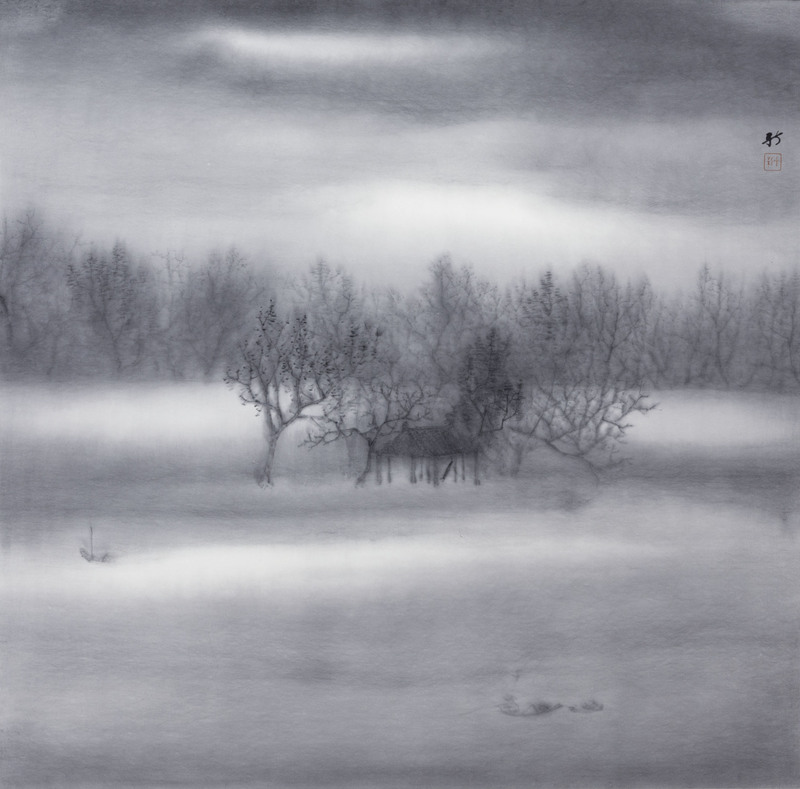 Xu chooses to work predominantly with water as it continues to reveal and surprise him after so many years. 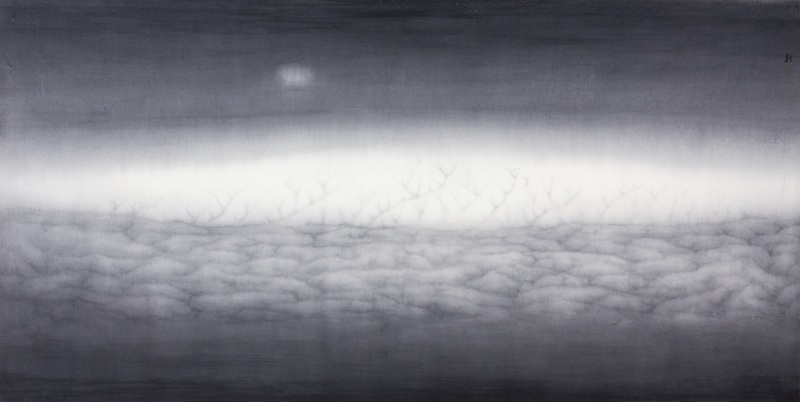 In our interview with him, Xu discusses his philosophy, inspirations and influences in his latest solo exhibition with us. 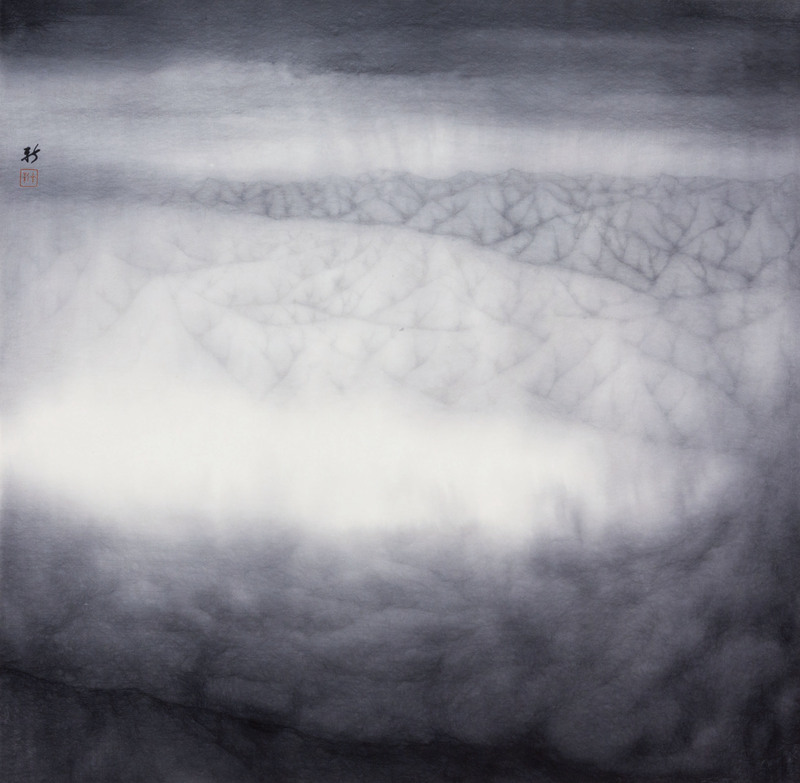 Special feature includes the installation footage of a massive 2.3x8m painting at ION Art gallery.